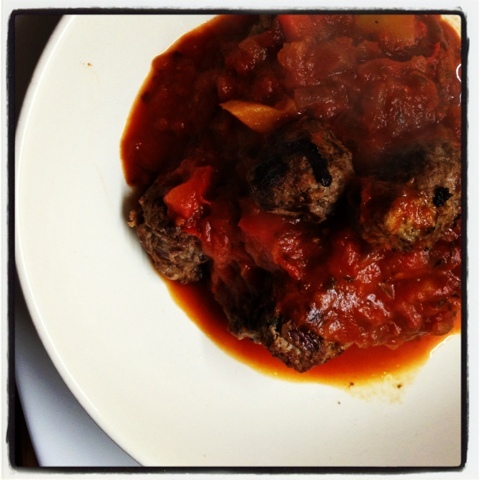 The happy cake and bake blogger: Kick start to the new year- my multitasking Irish angus meatballs. 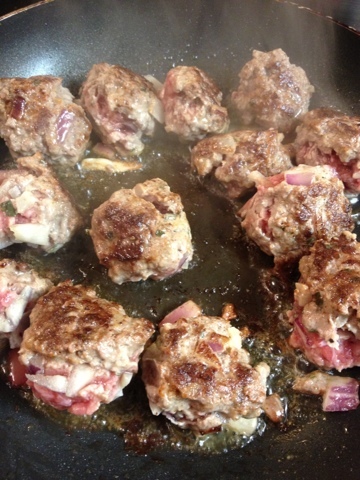 Kick start to the new year- my multitasking Irish angus meatballs. So it's been a mad few weeks to say the least, my beloved has moved to to the great white north aka Canada and myself and the wee ones have stayed here back in Ireland and will do so for the next ten weeks. Talk about a whirlwind of emotion for all involved but the excitement surpasses all emotions and that's what will make the weeks fly. The day before he flew out we went and did the weekly foodie shop and my trolley was looking like a magical rainbow of colour. I thought it was a perfect moment to start this new years health kick that we all seem to go on but this time I knew I'd have a better chance of sticking with it longer than I normally do as mr temptation wasn't going to be around like the naughty little devil sitting on my shoulder tempting me with all sorts of cookies and breads. 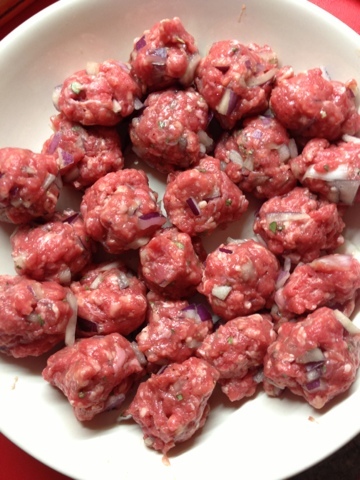 What on earth could i make I hear you all say....how about meatballs in my very own marinara sauce. I'd prep and make my sauce, while that was cooking away I'd feed the girlies. Next I'd make my meatballs and rest them in the fridge, put the kettle on for the bottles, was the dishes, sterilize the bottles then make them. 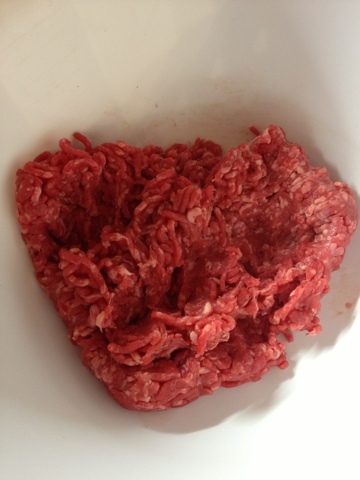 Firstly in a bowl combine the mince and diced onion together with your hand for a few moments making sure their mixed really well. 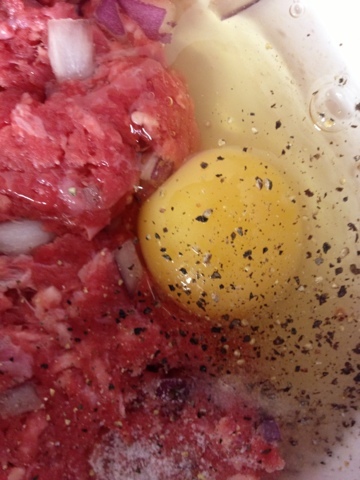 Next sprinkle the salt and pepper in and mix again before cracking the in the egg, at this stage just get stuck in and combine all 5 ingredients with gusto. Squish it between your fingers you don't want these mini delights to crumble the moment they touch the pan. Once the messy work is finished you now need to form little meet balls the size of(note iv just scanned around my room to find the right words)...the lid of a coke bottle!!! Once they are all rolled pop them in a fridge for ten to fifteen minutes this will allow them to firm up. Fifteen minutes later take these little bad boys out of the fridge pop them in a pan that's had extra virgin olive oil heating and cook in batches as they would only end up boiling /stewing if there was no room to sizzle.